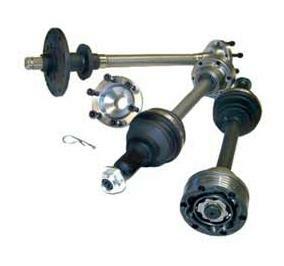 Driveshaft Shop Pro Level Axles are a complete package for your vehicle. This kit comes complete with Axles that include a bolt with inner CV, extremely large outer CV and a spool that has a 28 count spline and about 40% larger than stock. All this along with Driveshaft Shop’s ‘thru the hole’ intermediate bar is the toughest Axle system available for drag cars.